Social Turkish traditions and customs, annual festivals and celebrations in Turkey represent the clear differences between their culture and ours. The hospitality provided by the Turkish is an aspect they are well known for, and it’s considered normal to be invited to a wedding after only knowing the person a few days. ‘Stranger’ is considered an odd term in Turkey and generally social gatherings are very welcoming. 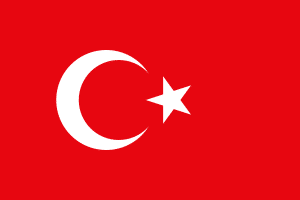 Turkey is also a country of both Western and Eastern cultures. Through a social system proposed during the Ottoman Empire, all ethnicities and religions were kept in separate states. This prevented the cultures mixing together, and unlike other countries, there are different concentrations of Islam culture throughout Turkish locations. It is therefore important to be aware of how to act respectful depending on where you are. The rich history of Turkey has also produced plenty of folklore, traditions and customs. Commonly in families where a toddler is having difficulty walking, it’s believed they have an invisible shoelace between both feet. So the eldest child of the family ties a cotton lace around both ankles and cuts it, which will then help the child walk. It is also believed that passing a blackberry bush can supposedly cure childless women and cows that can’t get pregnant! There are plenty of interesting superstitions present in the Turkish culture. Although some are similar to British (breaking a mirror brings seven years of bad luck), others seem more out of the ordinary. But these are of course custom to locals! Calling someone a pig is improper and is said to cause a lack of appetite for forty days. And looking in the mirror or cutting nails at night time is also said to be bad luck! This entry was posted on April 6, 2016 by Martin.